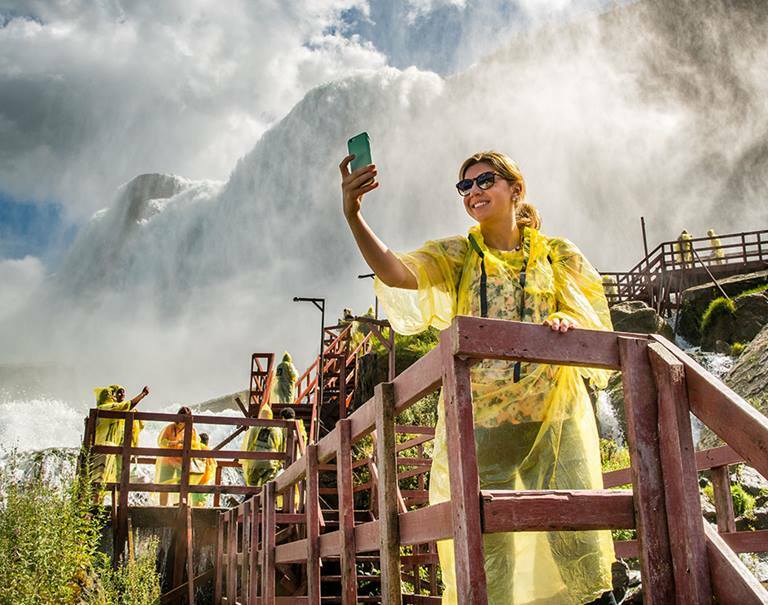 Leading image capture company, Magic Memories, has almost doubled visitor engagement at Niagara Falls State Park’s Cave of the Winds. The news is the result of a five-year deal with global hospitality and food service provider, Delaware North, acting on behalf of the park. Magic Memories created a brand new experience at the Cave of the Winds by using images of guests blended with high-value content from the attraction. The results have proved an instant hit with visitors eager for a lasting and personalised souvenir from the spectacular location. “A core part of Magic Memories’ offer was to use its expertise, product design and technology to enhance the guest experience,” explained Michael Barnes, Delaware North’s general manager at Niagara Falls State Park. The Cave of the Winds tour delivers a unique and breathtaking view of Niagara Falls. Guests don a souvenir protective poncho before descending 175 feet into the Niagara Gorge. They follow a guide over a series of wooden walkways to the famous Hurricane Deck. Magic Memories captures the experience and offers a variety of personalisation options. These include storybook products and digital options delivered via mobile in real-time. Magic Memories is busy working with Delaware North to expand operations at the park in 2018. This includes a second location at Prospect Point along with a number of new products. “There is no one-size-fits-all when it comes to delivering a personalised memory solution,” notes Chris Warhurst, Global CEO of Magic Memories.